John Mullins, Ph.D., knew the request was going to be a bit different. But when the physicist working on Mayo Clinic's new proton beam technology in Rochester walked into Ye Olde Butcher Shoppe in Rochester, the response he received from the owners was anything but expected. Dr. Mullins came in search of "a variety of organic materials" (that's meat, organs and bones to you and me) to help with the testing of Mayo's proton beam technology. He would also need these materials cut to specific sizes and individually vacuum-sealed. Dr. Mullins and his colleagues were planning to use the samples to test the accuracy of the calibration in the proton beam's computer planning system. So his order included "two types of fat, kidney, liver, brain, muscle, bone and pork shank" to represent the densities of various types of tissue. 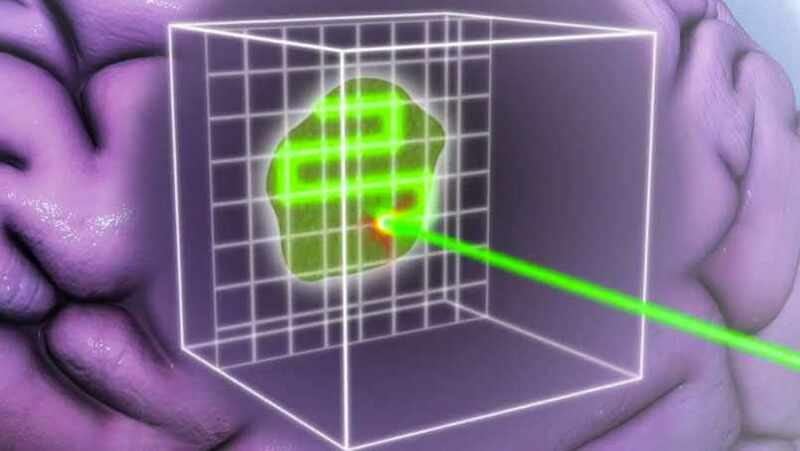 "The proton beam's computerized treatment planning system can then calculate how much 'beam energy' is needed to accurately reach the target scanning depth based on those tissue types and their densities," Dr. Mullins says. "When I picked up the order, they refused payment and wished to donate the order," Dr. Mullins says. The owner thought it was "very interesting what we were using" the material for, and was impressed by the proton beam technology. "He thought it could really help a great number of people." Dr. Mullins tells us that using the samples, he and his team learned that while, overall, the proton beam's calibration is as accurate as they expected it to be, that accuracy can still be improved with "fine tuning." He says it was reassuring that the calibration numbers they measured and tested came out to be "very close" to where they thought they'd be on paper. "That's the way true science eventually works," he says. "But in practice, we are humans doing this measurement for the first time, and we could have made a small mistake along the way ... But that wasn't the case this time." Getting the answers they expected has given Dr. Mullins and the team confidence to move on to the "many more tests we need to complete" before opening things up to patients. And he tells us that wouldn't have happened without the help of Ye Olde Butcher Shoppe. "We could test the beam all day in water and plastics, but to be able to verify its accuracy in muscle, bone, fat and organs is another big step closer to the real scenario of patient treatment," he says. "It really made my day to see how the public enthusiastically supports these amazing new technologies that Mayo is bringing to the surrounding community." You can support us — enthusiastically or otherwise — by sharing your comments below. Then share this story with others using the tools atop this page.